A few weeks ago, I noticed the signs on a building in North York advertising the fourth location of Kinton Ramen. I stalked their Twitter and Facebook pages, eager for the opening announcement and was in line outside a week after their soft opening. I’ve already been back a second time and am thinking about a third visit. 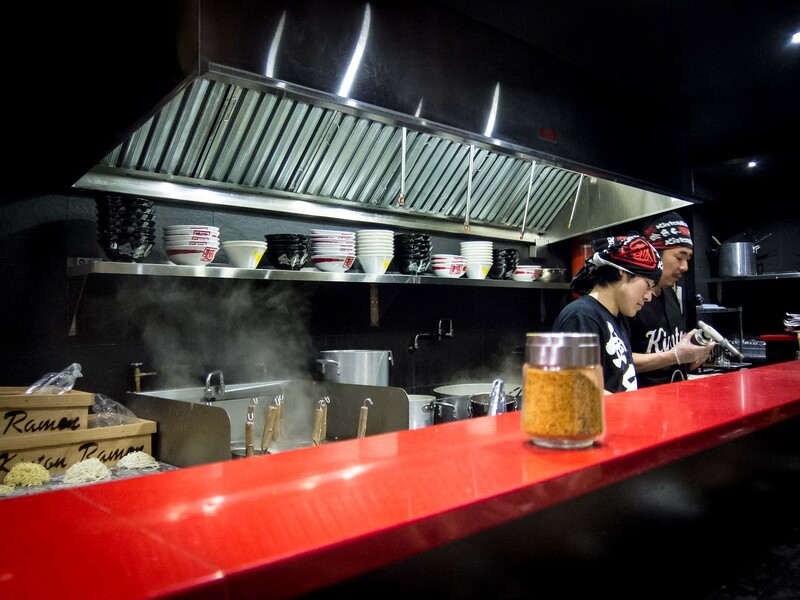 Atmosphere: The decor is near replica of other Kinton Ramen locations in Toronto. 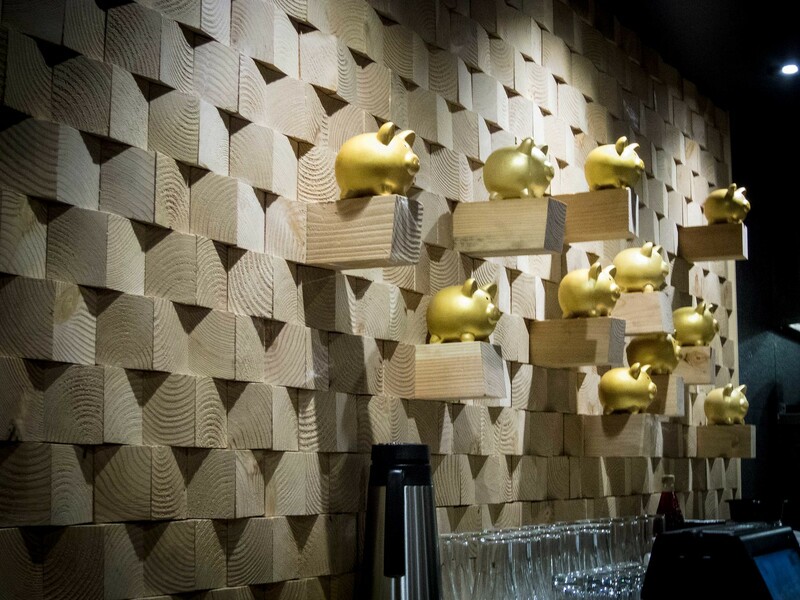 Golden pigs decorate the wood embellished walls and seats are lined up at the bar. There was only one table that can seat 8, every other seat sat singles or duos. Our group of five ended up in a row along the bar. 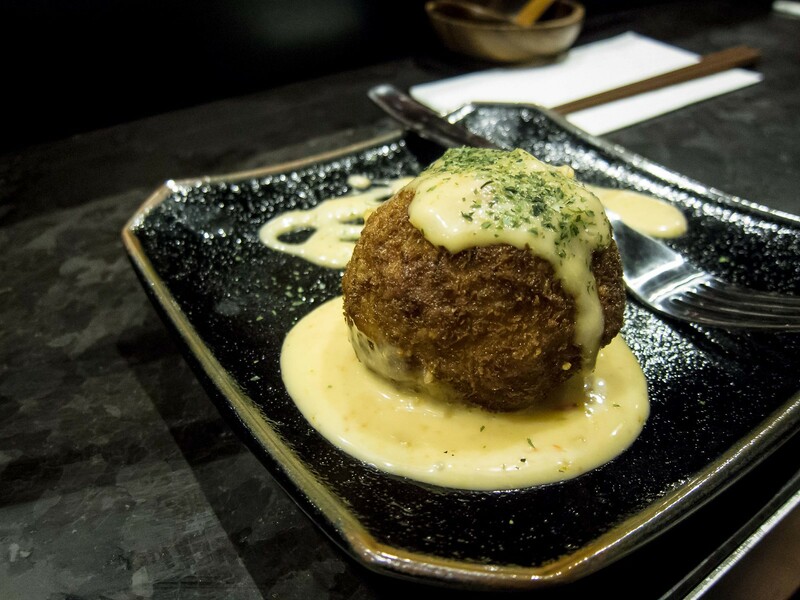 Ramen is meant to be a quick in and out meal, not one to linger over. 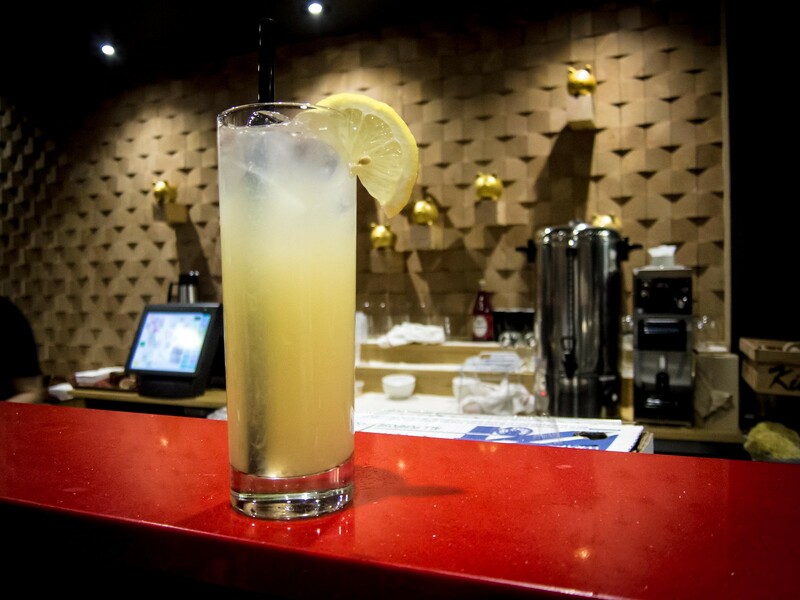 If you’re looking to catch up or have long conversations, head to one of the many bubble tea places in the neighbourhood. The servers were loud, energetic and friendly. 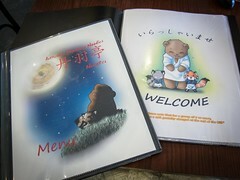 Service: With the restaurant being less than a month old, I won’t be reviewing the service yet. At an initial glance, Kinton is still ramping up/training their staff and while service is currently lagging, I believe they’ll speed up and smooth out the wrinkles. A few bag hooks under the bar would go wonders. For now, I recommend having a little patience. 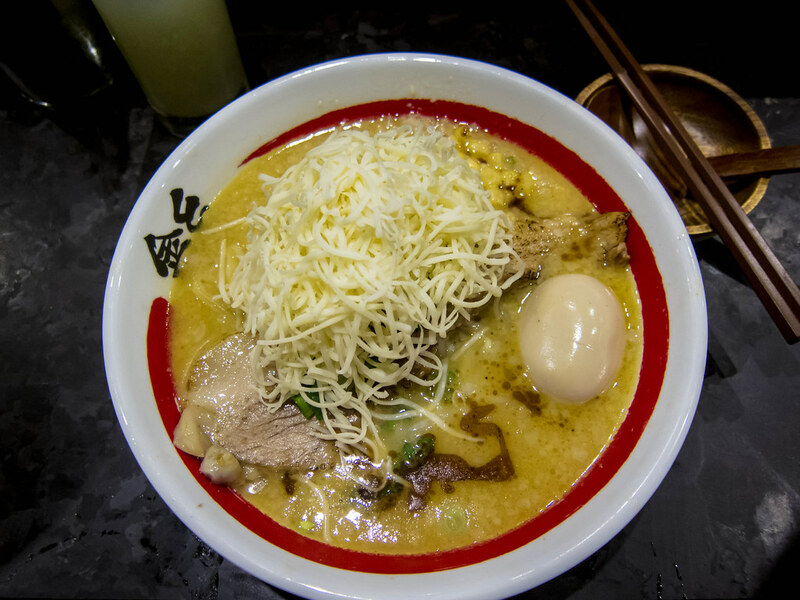 Food: To be honest, I was pleasantly surprised with my bowl of ramen. At the Baldwin location, I’ve been consistently underwhelmed by the broth, but Kinton North York has stepped up. The new menu allows you to pick a broth flavour, level of richness (aka delicious fat globules), noodle thickness, cut of meat and additional toppings. 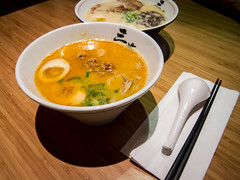 On my two visits, I tried two very different combinations and the key is definitely to order regular or rich broth, light is a waste of a bowl. The fiance always orders the extra pork and the three slices of pork belly is a perfect portion for him. The blowtorched slice of belly has a great char and rendered fat. 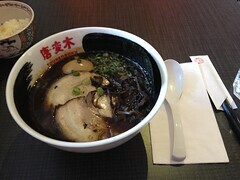 I’m satisfied with just one piece, but I do love the cheese and spicy garlic flavours in addition to classic miso. If you’re ordering the garlic, know that it will be seeping out of your pores the rest of the night. I usually reserve spicy garlic to nights when I’m not with company. The fresh shredded cheese is an innovative taste and served separately. This allows the diner to put in as much or little cheese as they’d like and watch it melt instantly into stringy goodness. 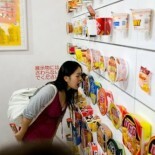 I did find that the cheese mellows out the flavour of the ramen. Personally, I always order the thick noodles and they’re cooked perfectly. As for additional toppings, my favourites are the seasoned egg (a marinated, soft boiled egg), nori and scallions. 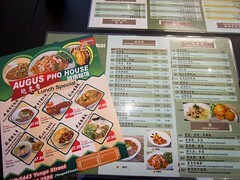 A few of the ramen flavours already include additional toppings so double check the menu before adding on extras. If it’s your first visit to Kinton Ramen, I recommend trying the miso ramen, regular pork broth, thick noodles, pork belly with a seasoned egg.